Civic information needs to be accessible by all citizens, and many cities have not yet evaluated the options for adding captions for the meetings they stream and broadcast on cable channels. Municipal Captioning exists to help connect cities and other local government entities with multiple options for captioning live meetings and other content. Cities can only succeed in meeting ADA and DOJ expectations when there is a "best effort made" to accurately caption all content which is live streamed, delivered on-demand, and/or broadcast on the city cable channel. Different types of technology with varied costs can be used to address the entire range of content that needs to be captioned. The best way to address all of the needs economically is usually a combination of multiple services, which cities can choose to purchase under a single contract. Because we focus exclusively on local government, Municipal Captioning offers a "3 or more options" consulting package, which helps the city meet the purchasing process requirements, and helps bring the city in line with ADA and DOJ requirements within the needed timeframe. Step one: We help the city determine the amount of content to be quoted for, and assist in collecting necessary information from the cities current meeting playback and streaming solutions. Step two: We work with captioning providers from across the US, as well as international providers, to generate custom quotes that cover all of the various types of solutions that are currently available. We then help you compare the quotes and explain how the technologies used (and results gained) differ between solutions. Step three: Municipal Captioning also offers cities the option of testing their own meeting content across each system and comparing the accuracy and cost of each. By comparing both cost and quality of results, decision-makers can better determine which of solutions would fit their budget, and then purchase the selected combination of services and products that best fits their communities needs. Municipal Captioning is a new company and growing quickly. If you'd like to join our team please use the contact form. We are currently full on cartoon mascots, and presently only interviewing human beings. Daniell has worked with Community Media Centers and Local Government Television since 2001. He started Municipal Captioning Inc. in October 2017 after touring more Public, Educational, and Government Access playback control rooms than anyone else in the United States. Dusty ran for City Council for 4 election cycles before receiving the seat he currently occupies. He's a stickler for details. When you find a typo on this site, it's not Dusty's fault because he was not asked to proof this. Peg is new to the council but she has lots of energy for civic process. She is all about participatory democracy and information transparency. Hare Bear doesn't speak much, but never misses a vote. Hare Bear represents all members of their community, and fights for sunshine laws. 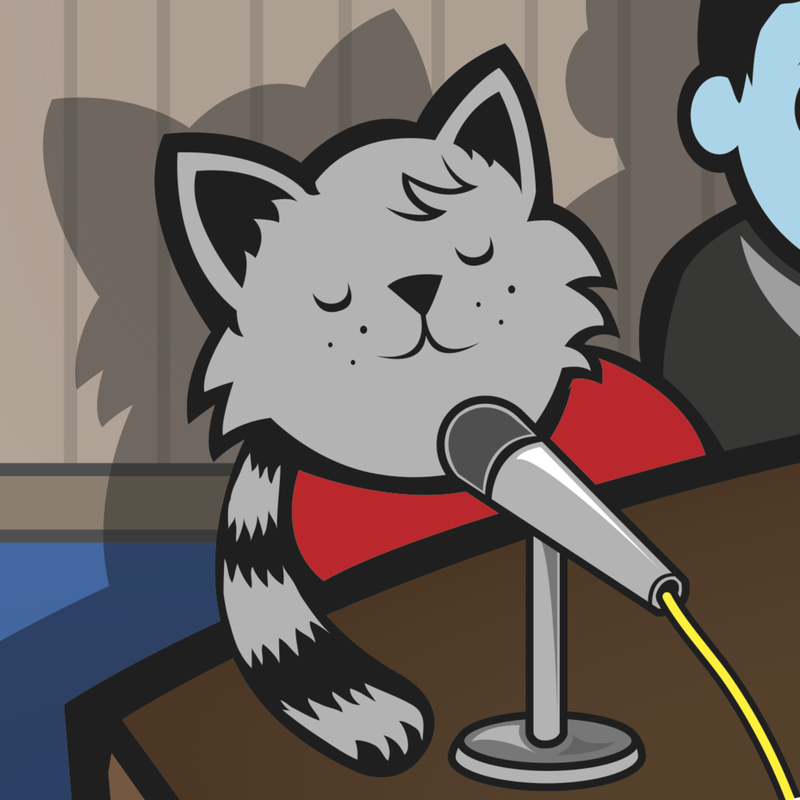 Cool Cat likes it when meetings end on time, but that's not always how it goes. That's OK, she'll roll with it. She gets excited by the ability to search meetings and learn from semantic networking which topics are discussed together. We offer a quick survey to help you consider your Video Accessibility Needs. If you would like to take the survey, contact us and we will get back to you. Thank you kindly! Call us Toll-Free from any city phone at 888-898-6864 (MUNI) or reach out online. We look forward to hearing from you.